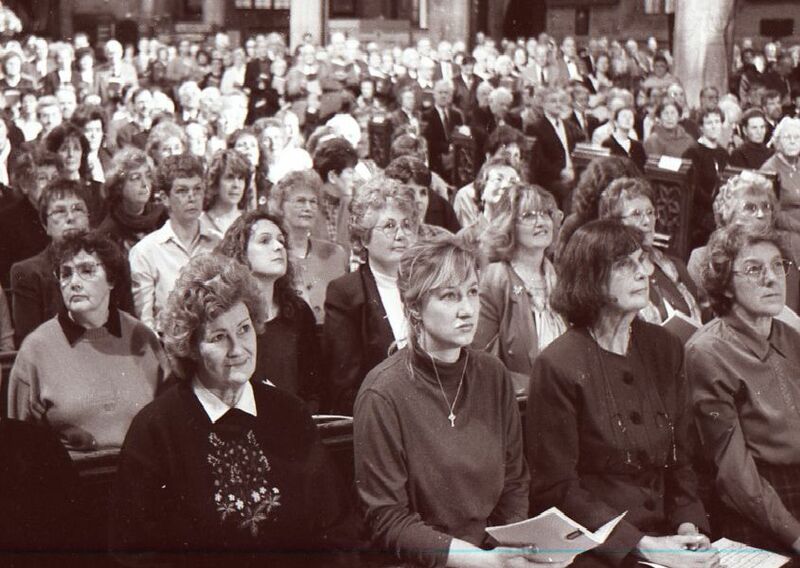 Bostonians turned out in force at the Boston Stump 20 years ago to sing their hearts out and become stars for a night on BBC’s Songs of Praise. The show was recorded on March 24 and broadcast on Sunday, April 11, making this week the 20th anniversary of its screening. Were you there? Can you spot a friend or relative among the congregation? 1. Songs of Praise, Boston, 1999. Two rehearsals took place at Boston's Centenary Methodist Church ahead of the recording of the show, with many hundreds turning up. 2. Songs of Praise, Boston, 1999. A rehearsal took place at the Stump as well, with more people still turning out for it. 3. Songs of Praise, Boston, 1999. When the show was broadcast viewers would see more than just what was recorded in the Stump. 4. Songs of Praise, Boston, 1999. There would also be shots of RAF Coningsby, the Maud Foster windmill, the Guildhall, and other familiar scenes.